Having spent the weekend wishing I too could be in Bordeaux, it seems appropriate to share this article about one of our favourite Bordeaux wine merchants. 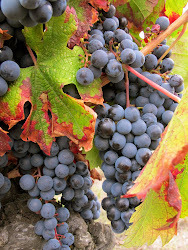 If you can't get to Bordeaux to buy your favourite Merlot or Cabernet blends or the D'Aiguilhe mentioned below, then visit www.discovervin.com.au. If Bordeaux wines are going to continue pricing themselves as luxury goods, then perhaps wine shops specialising in selling them need to provide a suitably dramatic backdrop. That seems to be the thinking at L’Intendant, a tiny wine shop in central Bordeaux that stocks 90% classified growths and is located directly opposite the 18th century, Victor Hugo-designed Grand Theatre, looking out onto the city’s elegant Allées de Tourny. Housed in an hotel particulier from the same era as the Grand Theatre, the inside of the building has been entirely hollowed out and reconstructed by French architect Jean Michel Rousseau, with just one central, 12-metre high spiral staircase, winding upwards like the inside of a lighthouse, with the most prestigious appellations of Bordeaux curling up alongside the walls. L’Intendant has been open for 15 years, and is now run by manager Laurent Dumesny, but it is owned by Jean Francois Moueix’s Duclot negociant house. 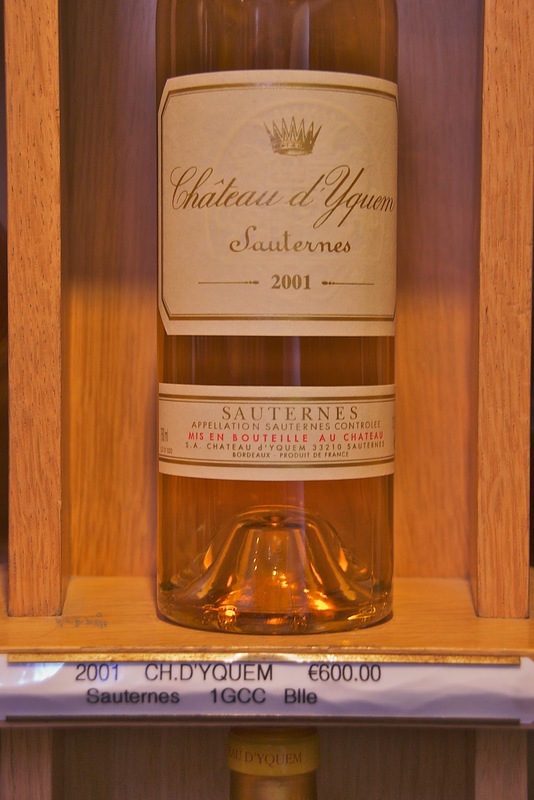 This means one thing of particular interest to buyers of classified Bordeaux – that everything is bought en primeur, and in theory prices for older vintages should be very reasonable (most wine shops have to re-stock at the going rate on the Place de Bordeaux, which means they are at the mercy of current price levels, whereas here you can pick up a La Pointe 2000 for €38 where it’s current price on 1855.fr is €43, or Chateau Mouton Rothschild 2002 for €295 compared to an 1855 price of €320). 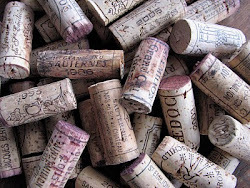 All wines are guaranteed to come straight from the property, or from Duclot’s own cellars. You won’t find anything non-Bordeaux here. 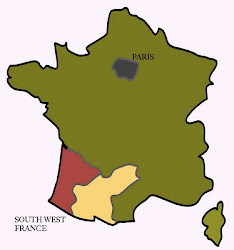 The small appellations, non-classified wines, and second wines of well known properties, are all relegated to the ground floor, and the choice, although excellent quality, is hardly imaginative – namechecks include Stefan von Neipperg's Chateau d'Aiguilhe and Denis Dubourdieu’s Chateau Reynon. These are the only wines in the shop that are sourced direct, or through brokers who specialise in smaller properties, and are mainly priced at under €15. 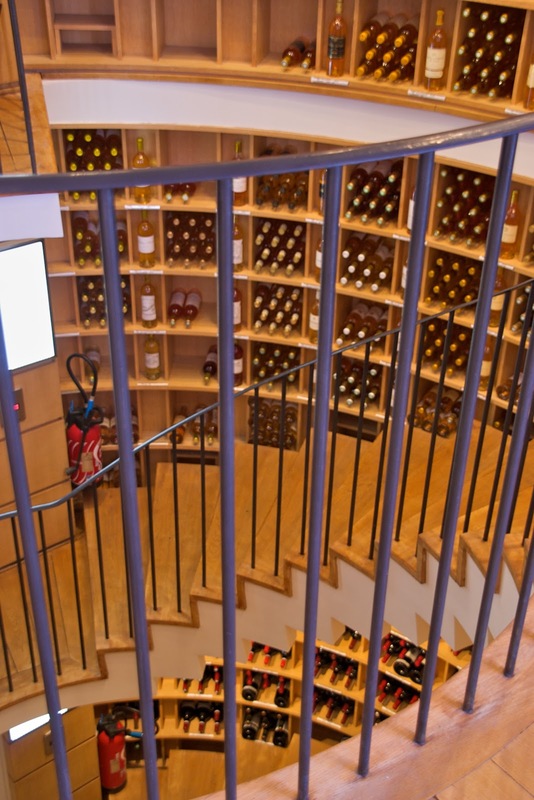 As soon as the stairs begin, you enter the more rarefied sphere – first the Haut Médocs, then Margaux, St Julien, Pauillac and Saint Estephe (1855s only – if you’re a cru bourgeois, you’re down on the ground floor). 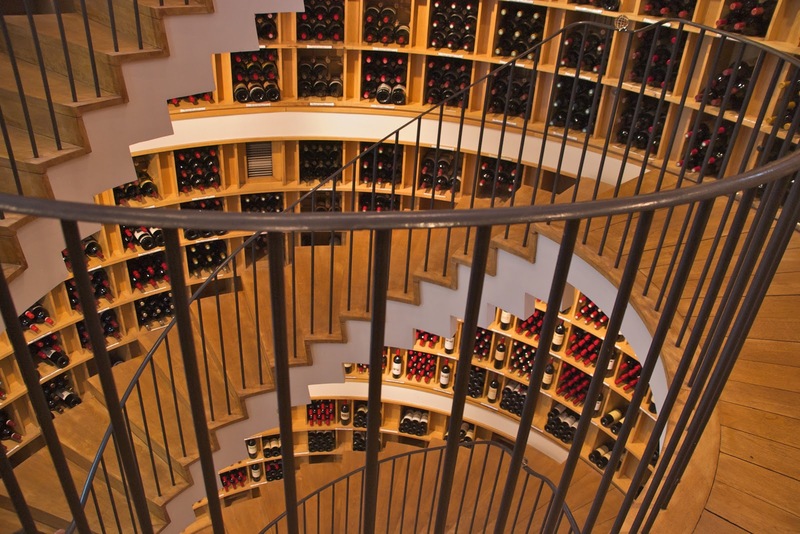 The second level is given over to Saint Emilion grand cru classés, then Pomerols. 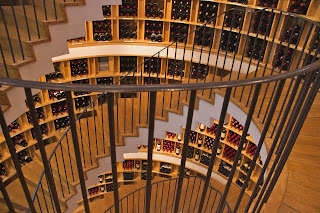 The third level comprises magnums, then you’re with the first growths, from both the Right and Left bank – with the second wines displayed alongside; so Cheval Blanc and Petit Cheval, Bahans Haut Brion and Haut Brion, Pavillon Rouge and Margaux, Carraudes de Lafite and Lafite, and Forts de Latour and Latour. 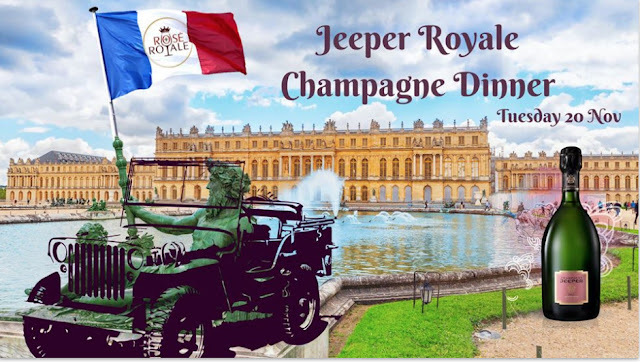 Still no Pétrus – this is Jean Francois Moueix’s domaine, and you’ll find a special side room devoted to the Pomerol classic, with over 15 vintages on display – alongside Imperials and half bottles of other rare wines. Before you reach this is the Sauternes floor, together with white wines from key Pessac Léognan estates such as Carbonnieux and Olivier.